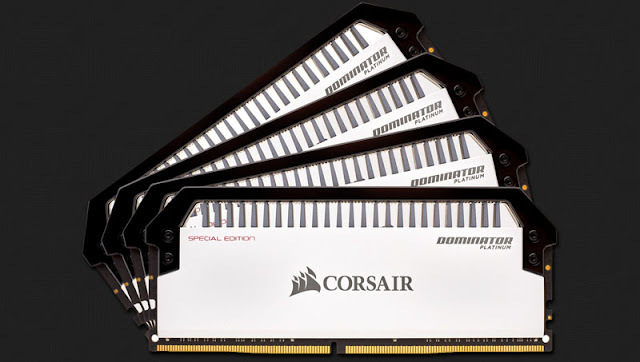 CORSAIR®, a world leader in PC gaming peripherals and enthusiast components, today announced the immediate availability of its new DOMINATOR PLATINUM Special Edition CONTRAST DDR4 memory. Finished in an elegant high-contrast design of pearlescent white and high-gloss black, DOMINATOR® PLATINUM Special Edition CONTRAST truly stands out, accented by an integrated white LED top bar. Combining the clean, iconic lines of DOMINATOR PLATINUM with a crisp monochrome look and individually numbered for exclusivity, DOMINATOR® PLATINUM Special Edition CONTRAST offers a premium level of PC personalization that’s unlike any other.